Nashik city does not have an airport of its own. The airport that falls nearest from its periphery is the Chhatrapati Shivaji international Airport of Mumbai. It is approximately 180 km from the Nashik city and is serviced by almost all the national as well as international airlines. The next nearest airport is that of Pune, a domestic one. 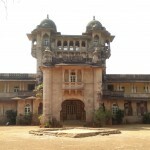 Reaching Nasik by rail is not at all difficult, since the railway station is connect with all the key cities of Maharashtra as well as India, through direct trains. Nashik is one of the major stations in Central Railway. Many trains are available that combine the town with other parts of the state. The fastest train from Nashik to Mumbai is the Panchavati Express which takes only 4 hours to reach the town. Nashik is located at a distance of approximately 180 km from Mumbai and 220 km from Pune and is easily accessible by road from both of the cities. You can easily find State Transport as well as private buses for all the cities in Maharashtra and the neighboring states from here. Taxis are also easily available. 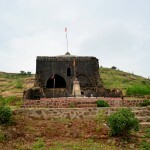 Nashik is one of the most important cities of Northern Maharashtra. Nashik, in Maharashtra, is situated at a distance of 200 km from Mumbai (Bombay) as well as Pune. The city has become the center of attraction because of its beautiful surroundings and cool and pleasant climate. Nashik has a personality of its own due to its mythological, historical, social and cultural importance. The city, vibrant and active on the industrial, political, social and cultural fronts, has influenced the lives of many a great personalities. The river Godavari flows through the city. Temples and ghats on the banks of Godavari have made Nashik one of the holiest places for Hindus all over the World. To share the activities of such a dynamic place with the people of the world. Nashik has a personality of its own, due to its mythological, historical, social and cultural importance. The city is situated on the banks of the Godavari River, making it one of the holiest places for Hindus all over the world. Nashik has a rich historical past, as the mythology has it that Lord Rama, the King of Ayodhya, made Nashik his adobe during his 14 years in exile. At the same place Lord Laxman, by the wish of Lord Rama, cut the nose of “Shurpnakha” and thus this city was named as “Nashik”.